So what is the gauge of a coil spring? Today we are talking about the inner most core of a mattress which is also called the innerspring unit and is maybe “the” most important part of the mattress set. Mattresses that use a coil spring mattress core are some of the most popular beds being slept on these days and while finding beds to choose from isn’t hard to do, most people will agree that comparing them can be quite challenging at the least. This is because ultimately coils are what mold and contours and support the person sleeping in the mattress and manufactures know this. Each believes theirs is the best and most will challenge you to find better or comparable models to theirs. One of those ways they do this is by asking you to compare the steel gauge of the spring. What is Coil Spring or Innerspring Wire Gauge? While it is debatable that coil spring wire gauge is a “spot-on” or only real measure of support and mattress firmness so we’ll try to explain. In the industry there are a series of numbers that usually correlate to the steel wire’s thickness. 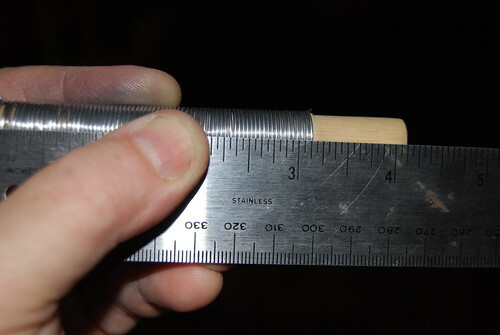 This measure is called gauge and the lesser the number the thicker the wire used to manufacture the coil spring, the greater the number the thinner the wire used for building a coil. Numbers start at 12.5-gauge (1.94 mm) coils, and is the firmest, while higher gauge spring systems range up to 15.5-gauge (1.37 mm). Gauge often increases or decreases in ¼ increments. Another thing to consider is that mattresses with more coils of the exact same gauge wire will feel firmer. While we do believe that a mattresses wire gauge is very important, this is but only one of many important factors for comparing and measuring up mattresses to one another and again should not be used alone to judge a mattresses overall quality. Coil count: one more comparison method used to shop mattresses against one another. This link explains Coil Counts on Mattresses in great detail. Coil Connections: this is how the coils help the mattress retain its shape and are connect to one another. The majority of coils springs are linked by interconnecting wires called a helical; encased coils or Marshall Coils or Independent Pocketed Coils are not joined with a helical, but instead are encased or wrapped in man-made materials or fabric encasement usually called pockets which have pros and cons to their design.